While it’s not a photograph taken on the MMA campus or of a ship, it still has relevance to maritime activities. 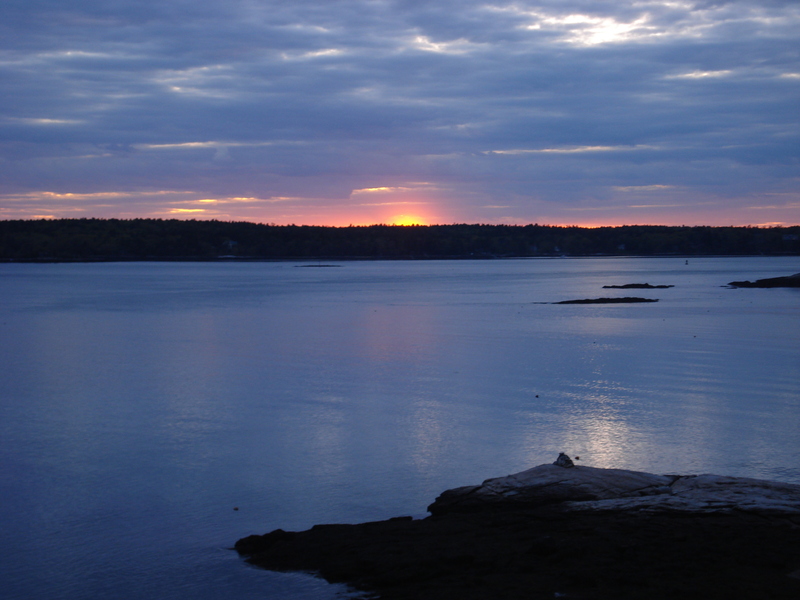 My family has a summer place in Maine on the Sheepscot River, which is the body of water shown above at sunset. In addition to the river being a large lobstering area, it also happens to be one of the heaviest concentrations of lighthouses in the United States - 4 or 5 of which are all within a few miles of each other!